Rage 2 is an upcoming first-person shooter video game developed by Avalanche Studios in conjunction with id Software and published by Bethesda Softworks. It seems that after Fallout 76 launching on Bethesda’s client, called Bethesda Launcher, their upcoming titles will do the same, as RAGE 2 is skipping Steam entirely. As it turns out, the only way to get RAGE 2 on PC is now through the Bethesda Launcher, which people aren’t too happy about, as it’s much easier to manage one client for most games, but it seems that publishers are focusing on making their own clients for games. Not only is the game not coming on Steam, but games like Ashen is now coming exclusively to Epic Store, which has promised a whopping 88% revenue system for developers. If you head over to the store page of RAGE 2, you’ll see that the only possible way to get it on PC, is through the launcher itself. The game is headed to PC, Xbox One and PS4 on May 14, 2019. Ashen, which is a an EPIC launcher exclusive, has already been cracked by CODEX, so we’re guessing that the games will be DRM-FREE on EPIC Launcher? 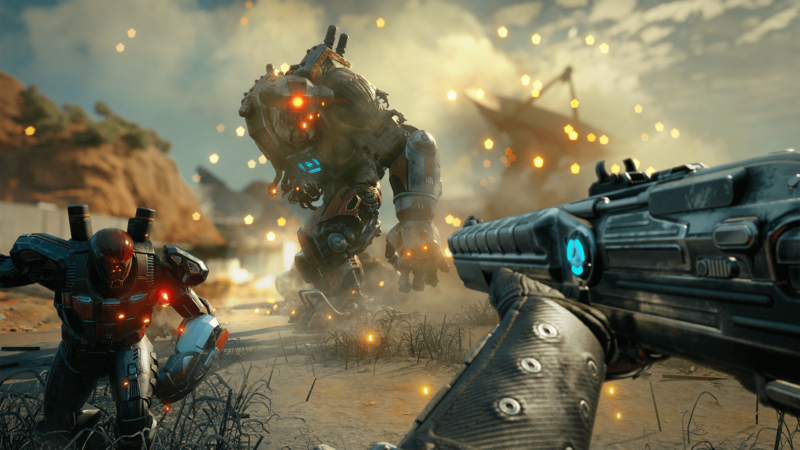 What do you think about RAGE 2 is skipping Steam? Will you be getting it through the Bethesda Launcher? Let us know in the comments below.